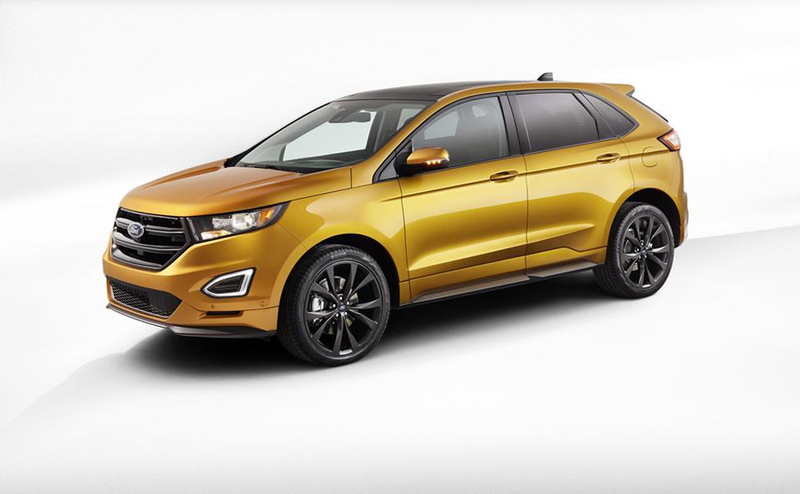 As the name says, owners of Ford 2015 Edge get to have an edge over others. 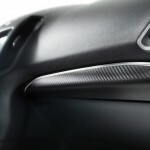 The car comes with impressive styling, advanced technology and enhanced vehicle dynamics. 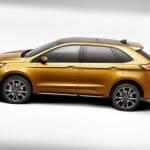 Over 100 markets around the world will offer this brand new offering by the automobile giant. Edge is blessed with innovativeness. 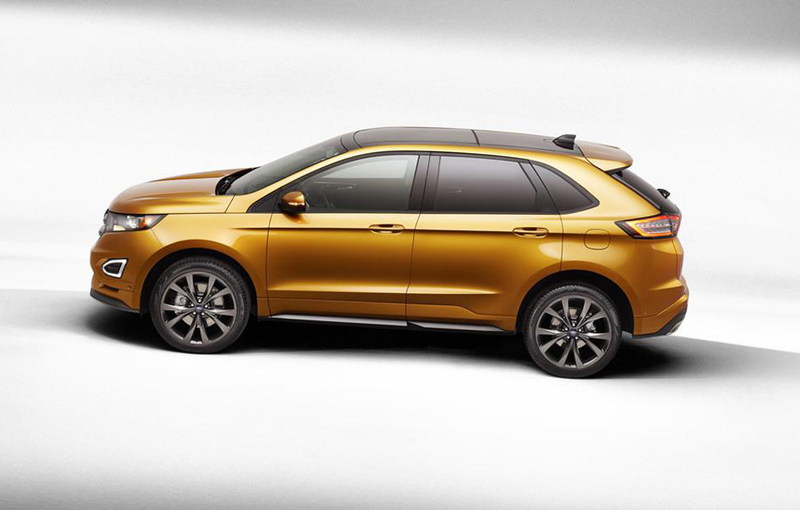 With this car, Ford introduces a new technology called adaptive steering that is standard on the Edge Sport. Drivers will be able to maneuver the vehicle more easily with this facility and thus enjoy a better ride. The adaptive steering works by modifying the ratio between the amount by which the steering wheel turns and the number of turns made the driver on the steering wheel. This ratio is fixed in case of ordinary steering. But in adaptive steering, this ratio changes continuously with the vehicle speed. It therefore optimizes the steering response for all situations. When the driving speed is low- for example while heading towards parking space or driving through narrow roads, the adaptive steering enhances the agility of the car. As a result, the car can be turned easily. The driver wouldn’t have to turn the steering wheel much during this kind of driving. The vehicle would follow the driver’s inputs more precisely and run smoothly on the highways. The steering wheel houses an actuator that is precision-controlled. So incorporating adaptive steering doesn’t need any significant modification in the steering system of the vehicle. The markets of USA get three options for powertrain and two of them are new. 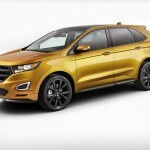 EcoBoost is being featured for the first time on a Ford model. The first new unit is the EcoBoost® 2.0-liter four-cylinder twin-scroll engine. It offers power output of 245 HP, while the torque figure is 270 lb-ft. This version of Edge can be had with a towing package that is powerful enough to a haul a 3,500 lb trailer. Also, turbo lag has been reduced and engine performance improved – thanks to the twin-scroll that has optimized the camshaft timing. The casting for the engine block is lighter and the balance shaft assembly sues aluminum. This has cut down 6 lb from the gravitational weight of the engine. This EcoBoost engine with twin-scroll shuts off the engine in heavy traffic, thus saving on the fuel. The other one is EcoBoost V6 2.7-liter engine. This engine utilizes compacted graphite iron for the cylinder. This has made possible very compact and stiff design. An added advantage is reduced noise, harshness and vibration. The output of this unit has been estimated to be 300 HP. Another unit that the car makers offer is normally aspirated V6 3.5-liter engine. 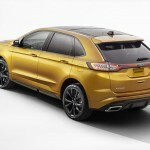 All three engines come with six-speed automatic transmission and dual output exhaust. 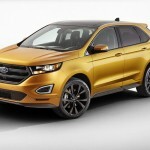 The owners are offered the comfort of hands-free operation for the liftgate. 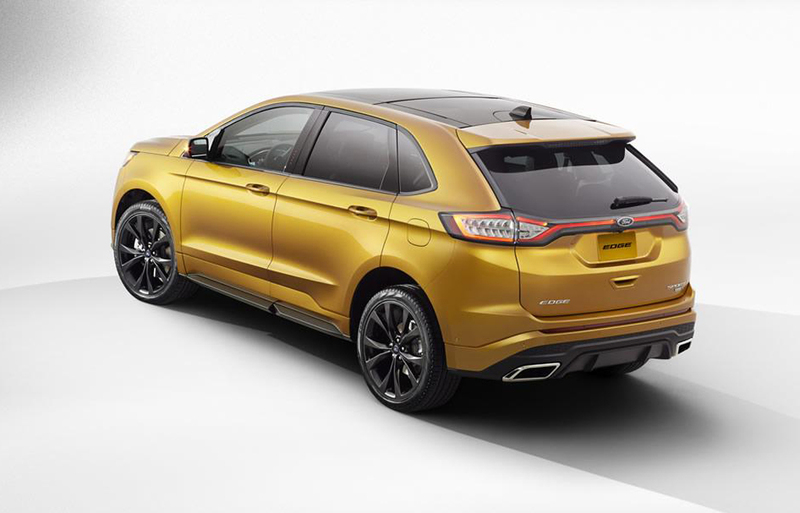 With just the movement of the leg beneath the center of rear bumper, the liftgate can be unlocked and raised. 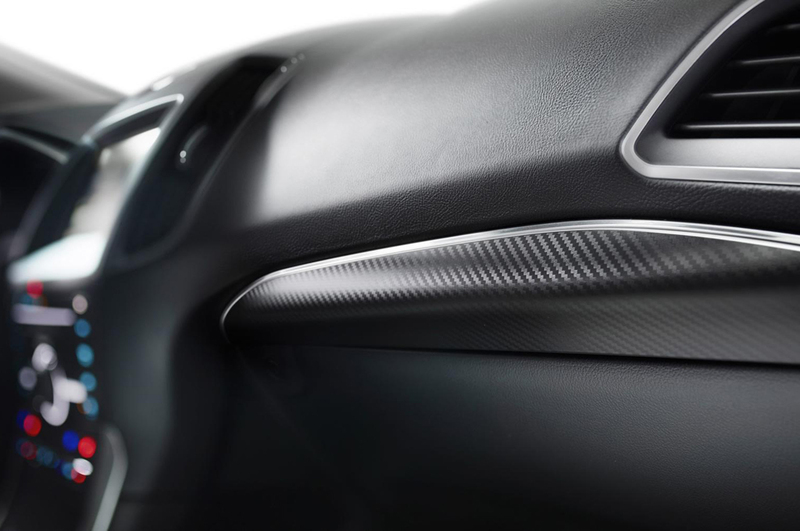 SYNC® is accompanied by MyFord Touch®. 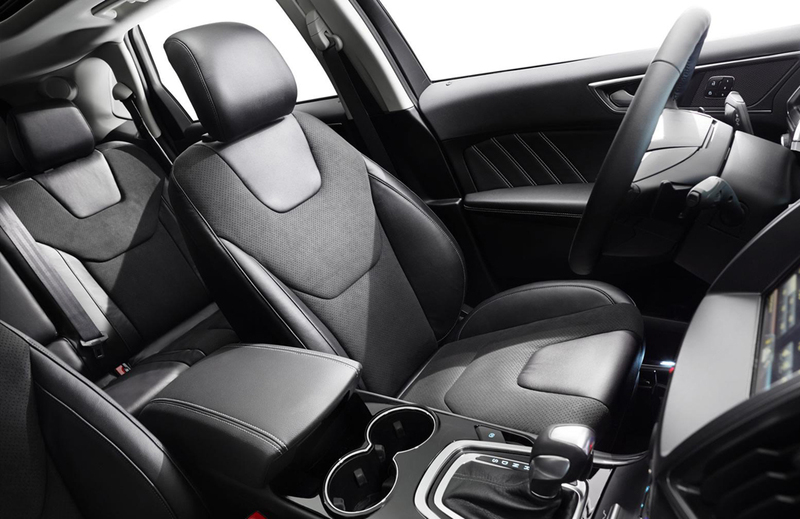 The front seats can be cooled & heated, the rear seats have heating function and the steering wheel too features heating. Active Grille Shutters, available on some models, help countering air resistance. Customers are offered a rich collection of driver assistance features. 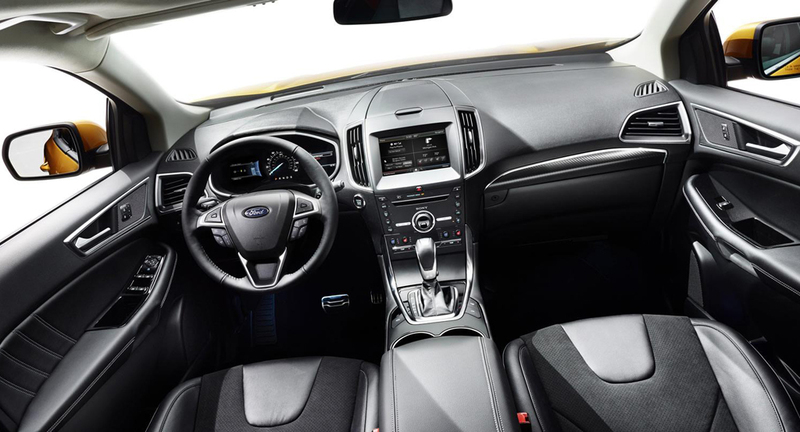 Ford has a lot to offer for the comfort of drivers – Lane-keeping system, Side parking sensors, Adaptive cruise control, collision warning & brake support, Adaptive steering technology, Air curtain, Auto Start-Stop, Blind Spot Information System, Cameras, Cross-traffic alert, Forward as well as reverse sensing systems. The car is no less when it comes to safety. 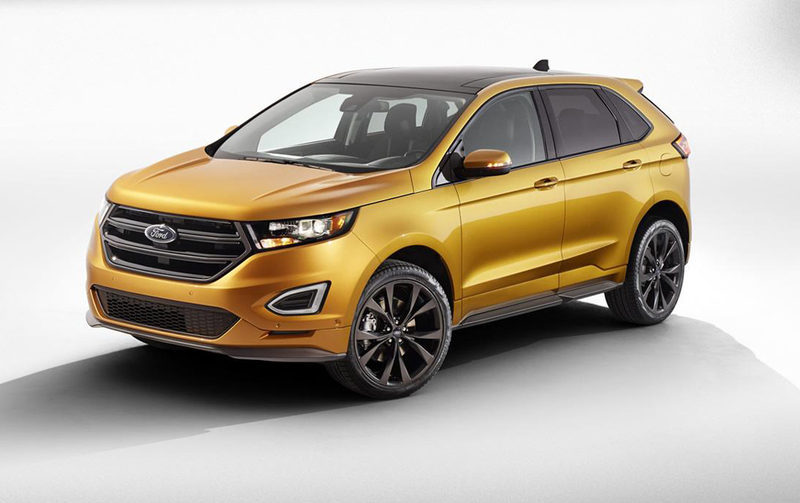 Ford Edge owners are offered – Active glove box knee airbag, AdvanceTrac® & Roll Stability Control™, Curve Control and Inflatable rear safety belts.